I am probably the only financial advisor in the world who will openly admit that I have had a long and checkered history with my own finances. I’ve been in business in one form or another for over 20 years. During that time I have lost everything not once, not twice but three times. You could say I’m just a slow learner and in a lot of ways I am the absolute last person anyone should be taking financial advice from. Yet I am also the only person you should be taking advice from. I’ve been there, multiple times, so I can see the signs of impending doom long before many of my clients do. 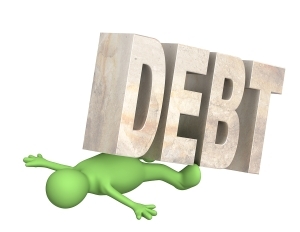 Here are three things I have learned in my dealings with debt. 1) Debt is far too easy to acquire. Pop Quiz – What is the main business of the bank? « No, I don’t think I’m sleeping tonight.